Networking party on the rooftop! 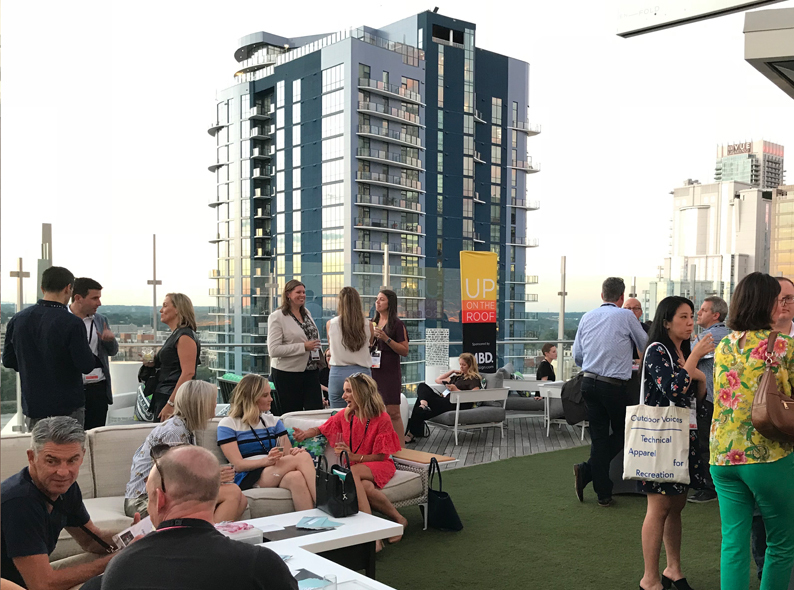 Even a hurricane the size of Florence couldn’t stop the private brand professionals who braved their way to Charlotte for Velocity 2018, the Private Brand Conference. The speakers were an amazing lineup of private brand leaders, lead off by Juan De Paoli, Senior Vice President for Private Brands at Ahold Delhaize USA. Lots of interesting insights and great stories were shared. A common theme emerging from the conference was how quickly the consumer landscape is changing and how retailers are responding by investing in their private brands. Retailers are realizing that to compete, they need innovative branding and design to build authentic brands and must leverage these important assets to become the brand of choice with their customers. Many thanks to Christopher Durham and his team at My Private Brand for putting together an outstanding conference. We’ll be back next year!